The reference datum is an imaginary vertical plane from which horizontal distances are measured for aircraft weight and balance purposes. The reference datum is at location "0" and measurements for other reference points, like the baggage area or the passenger seats, are made in relation to the reference datum. 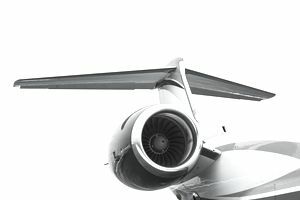 The datum is determined by the manufacturer, and in small aircraft, the reference datum is often located along the firewall or at the leading edge of the wing. Regarding weight and balance on an airplane, the station is a location along the airplane fuselage given in terms of distance from the reference datum. The arm is the horizontal distance from the reference datum to the center of gravity (CG) of an item. The CG arm (where CG stands for center of gravity) is the arm obtained by adding the aircraft’s individual moments and dividing the sum by the total weight of the unit. And aircraft's center of gravity is the point at which it would balance if it were suspended in air. Its distance from the datum is found by dividing the total moment by the total weight of the airplane. The center of gravity can be thought of as where all of the aircraft's mass is concentrated, or the "heaviest" part of the airplane. The center of lift is the point along the chord line of an aircraft wing or airfoil at which the force of lift is concentrated. The forward and aft center of gravity locations within which the airplane must be operated are referred to as CG limits. CG limits are based on a given weight. The chord, or chord line, of a wing is an imaginary line representing a straight-line distance from the leading edge to the trailing edge of an airfoil. The empty weight of an aircraft is the weight of the aircraft without including passengers, baggage, or fuel. Standard empty weight usually includes unusable fuel, full operating fluids, and full engine oil. The basic empty weight of an airplane is the standard empty weight of the airplane plus optional equipment installed. The maximum landing weight is, as you might imagine, the maximum aircraft weight limit approved for an aircraft to land. Landing above this weight can cause structural damage. The maximum weight for maneuvering on the ground is called the max ramp weight. Max ramp weight includes the weight of fuel used for start, taxi, and aircraft run-up procedures. The maximum weight limits for an aircraft to begin its takeoff roll is called the max takeoff weight. The useful load is the difference between ramp weight or max allowable weight and basic empty weight. Useful load is the weight of the useful items on board, such as passengers and baggage. An aircraft's cargo, baggage, and passengers (including pilots) make up its payload. The ratio of the amount of load and aircraft can withstand its maximum weight is called the load factor. Tare is the weight of chocks, blocks, stands, etc. used when weighing an airplane. Tare weight is included in the scale readings and deducted from the scale reading to obtain the actual (net) airplane weight.